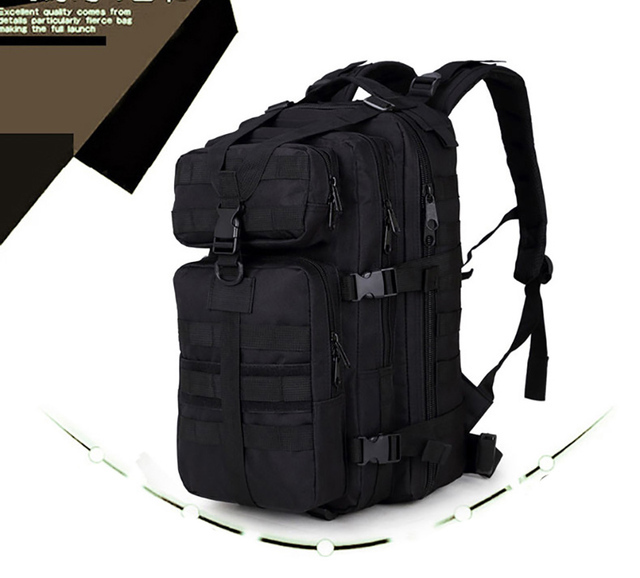 This is a tough 35L Tactical style backpack. 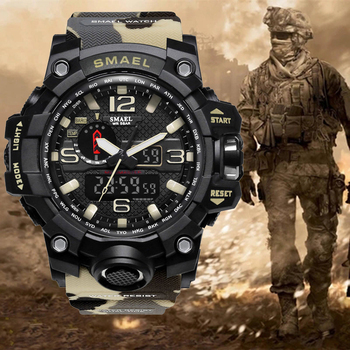 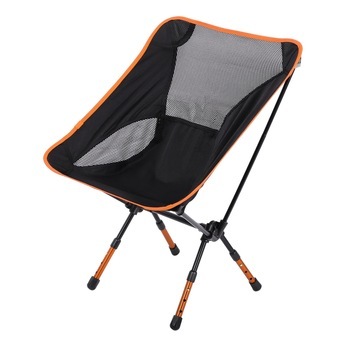 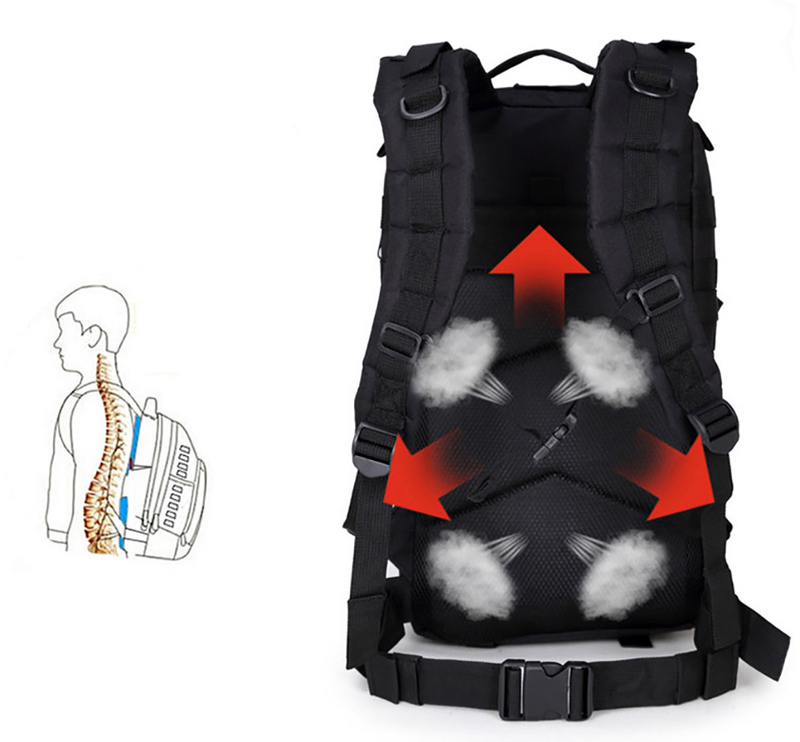 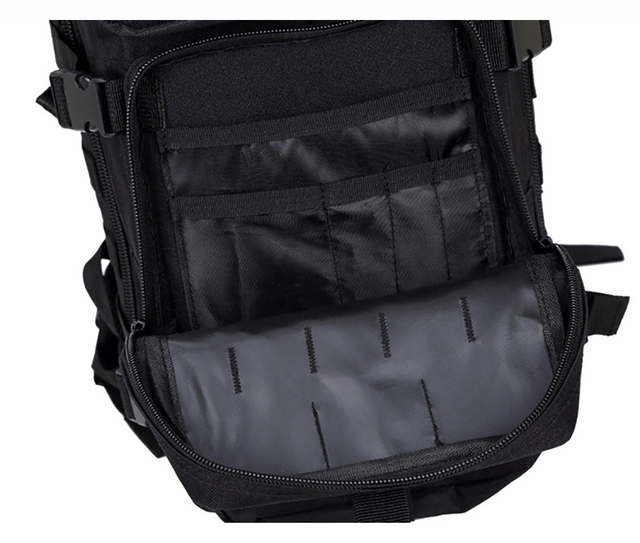 It has lots of compartments and is made of sturdy 600D Nylon. 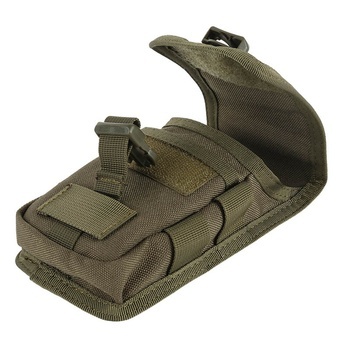 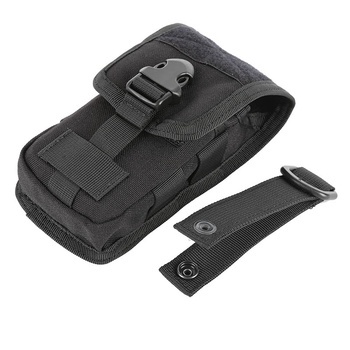 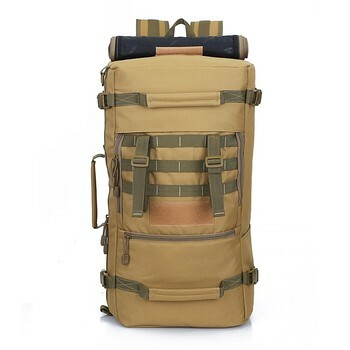 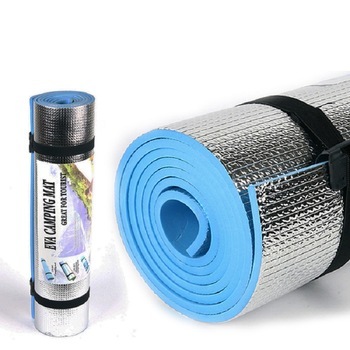 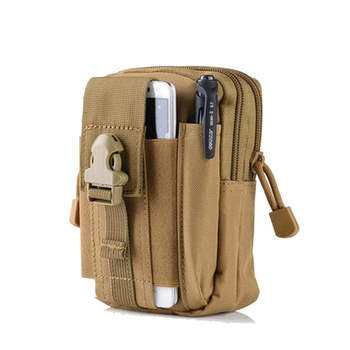 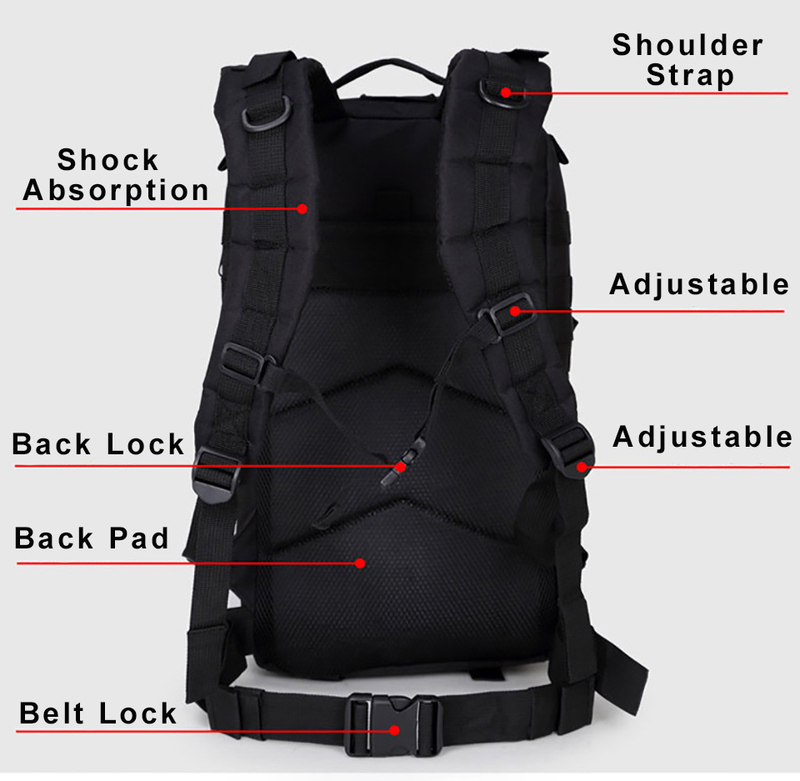 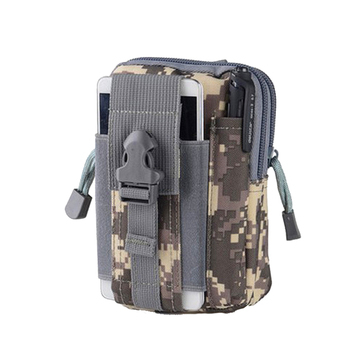 The bag has a MOLLE webbing system designed to be used in combination with other equipment, you can load pouches, water bottle holders, flashlight holster, accessory kits and other molle gear. 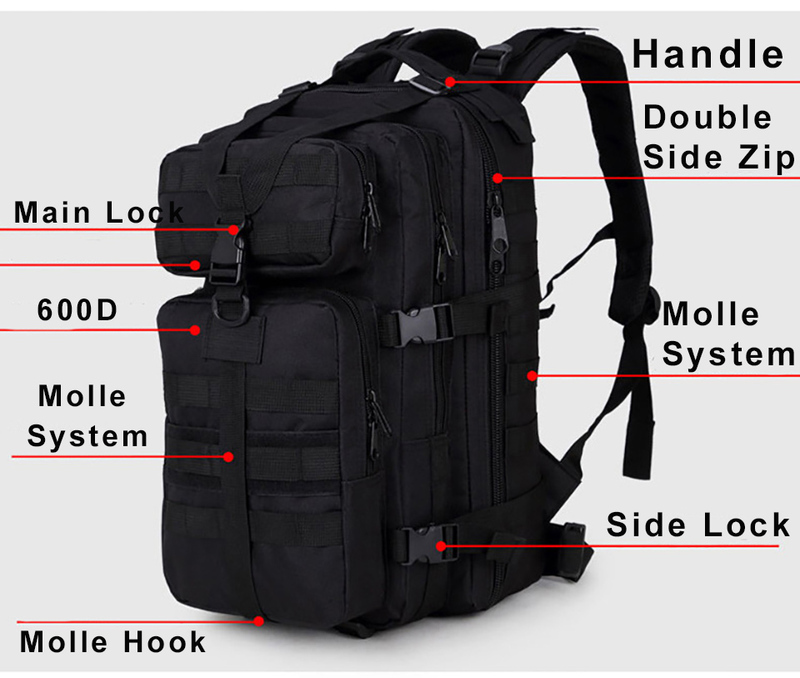 Excellent storage: 1 main compartment, 2 lower front compartments, 1 upper front compartment, 1 padded back pocket, 1 card pocket and 5 internal multi-slot compartments. 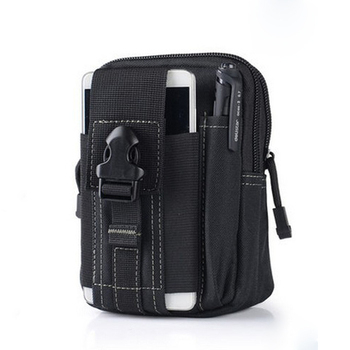 Great for carrying your small tablet, eReader, as well as your wallet, keys, sunglasses and other essentials.